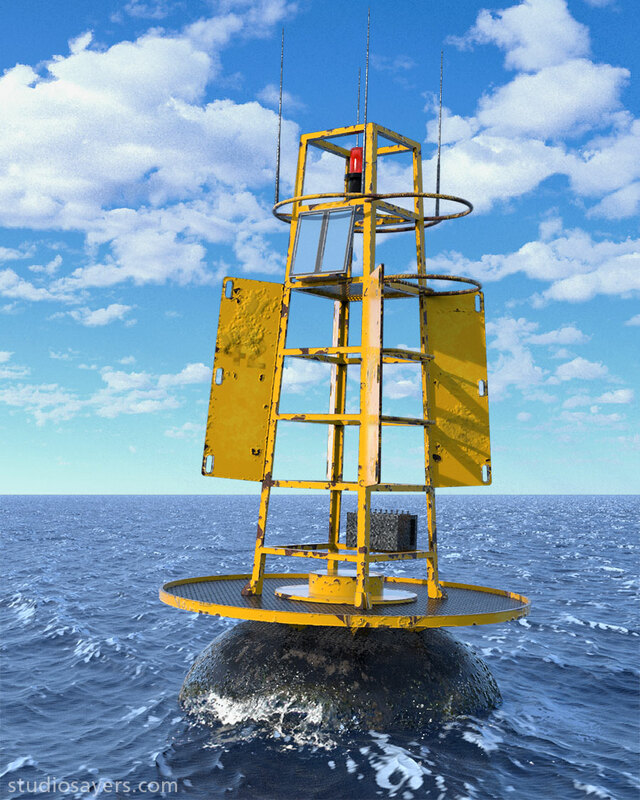 I created this 3D model of an ocean buoy for Discovery Channel, using the buoy from the movie The Shallows as a technical reference. Modeling was done in Modo, and I originally did the texturing in Modo as well, but decided to revisit the project recently to see what I could do with Substance Painter. Substance is a fun texturing program that allows you to use a variety of procedural brushes and “smart” materials that facilitate the rendering of, among other things, rusted metal. Perfect for reproducing the look of a piece of iron that’s been tossed around in salt water. I used the aaocean plugin for modo to create some rough-looking water, and a nice hdri of a cloudy sky to light the scene using global illumination. To complete the image I composited some waves washing up against the buoy in Photoshop.